Nazira’s research interests include: Synthetic organic chemistry; green chemistry (catalysis, ionic liquids); heterocyclic chemistry (synthesis of heterocycles as potential antibacterial and antifungal agents); Education for sustainable development (greening STEM curricula); Interrogating the gendered landscape of higher education science [currently involved in the GENOVATE project: Transforming organisational culture for gender equality in research and innovation (FP7-funded [under Science in Society SiS 2012. 2.1.1-1 programme)]. •Guided reflection as an organisational learning tool in a gender equality change management programme, The International Journal of Organizational Diversity, U. E. Archibong, M. O’Mullane, D. Kállayová, N. Karodia, C. Ní Laoire, L. Picardi, 2015, accepted. •Synthesis and evaluation of selected benzimidazole derivatives as potential antimicrobial agents, F.A. S. Alasmari, A. M. Snelling, M. E. Zain, A. M. Alafeefy, A. S. Awaad, N. Karodia, Molecules, 20, 15206-15223, 2015. •Development of selective DprE1 inhibitors: Design, synthesis, crystal structure and antitubercular activity of benzothiazolylpyrimidine-5-carboxamides, R. Chikhale, S. Manghani, R. Babu, R. Bansode, R. Bhargavi, N. Karodia, M. V. Rajasekharan, A. Paradkar and P. Khedekar, European J. of Med. Chem., 96, 30-46, 2015. •Greening the lab, I. M. Mujtaba, R. Patel and N. Karodia, The Chemical Engineer, March 2015. •The big green lab project, B. J. Lucas, L. Comerford Boyes, N. Karodia T. Munshi, P. G. Hopkinson, Education in Chemistry, March 2014. •Bradford STEM Centre, a case study in Laboratories for the 21st century in STEM higher education: a compendium of current UK practice and an insight into future directions for laboratory-based teaching and learning, N. Karodia, J. Smith-Harrison and L. Comerford Boyes, https://dspace.lboro.ac.uk/dspace-jspui/bitstream/2134/13389/3/ Labs_for_21st_century.pdf, 2013. •Strategy for Imidazotetrazine Prodrugs with Anticancer Activity Independent of MGMT and MMR, E. A. E. Garelnabi, D. Pletsas, L. Li, K. Kiakos, N. Karodia, J. A. Hartley, R. M. Phillips, R. T. Wheelhouse, Med. Chem. Lett, 3, (12), 965-968, 2012. •Triphenylene-based discotic liquid crystals: star-shaped oligomers and branched-chain polymers, A. El Mansoury, R. J. Bushby, N. Karodia, Liquid Crystals, 2012, 39, (10), 1222-1230, 2012. •Disseminating student ambassador top-up training in engineering, case study, K. Baker, N. Karodia, Royal Academy of Engineering, http://www.raeng.org.uk/publications/other/student-ambassador-training, 2012. •Kinetic study of the manganese-based catalytic hydrogen peroxide oxidation of a persistent azo-dye, C. Tizaoui, N. Karodia, and M. Aburowais, Journal of Chemical Technology And Biotechnology, 85, 234-242, 2010. •Design, Synthesis and biological evaluation of novel acridine-polyamine conjugates against prostate cancer, H. B. Maurice, R. M. Phillips, N. Karodia, African Journal of Pharmacy and Pharmacology, 3, 602-610, 2009. •1,3-Thiazines and Benzo Derivatives, N. Karodia, Chapter 8, Volume 7 in Comprehensive Heterocyclic Chemistry, R. Aitken (Volume Editor), Elsevier, 2008. •Controlled atmosphere storage technique using ozone for delay ripening and extend the shelf life of tomato fruit, M. A. Shalluf, C. Tizaoui and N. Karodia, IOA Conference Proceedings, Valencia. 2007. •The ionic liquid ethyl-tri-n-butylphosphonium tosylate as solvent for the acid-catalysed Michael Reaction, N. Karodia, X. Liu, P. Ludley, D. Pletsas and G. Stevenson, Tetrahedron, 47, 11039-11043, 2006. • Novel application of phosphonium salts as co-catalysts for the Baylis-Hillman reaction, C. L. Johnson; R. E. Donkor; W. Nawaz; N. Karodia , Tetrahedron Lett., 2004, 45, 7359-7361. •Applications of Phosphorus (III) and (V) Compounds as Reagents in Synthesis, R. A. Aitken and N. Karodia, Chapter 3 in Organophosphorus Reagents: A Practical Approach, P. J. Murphy (Ed. ), Oxford University Press, 2004. •Flash vacuum pyrolysis of stabilised phosphorus ylides. Part 17. Preparation of aliphatic amino acid derived γ-alkoxycarbonyl-amino-β-oxo ylides and pyrolysis to give α,β-acetylenic γ-amino acid andGABA analogues, R. A. Aitken, N. Karodia, T. Massil ; R. J. Young, J. Chem. Soc., Perkin Trans1, 2002, 533-541. •Phosphonium tosylates as solvents for the Diels–Alder reaction with 1,3–cyclopentadiene, P. Ludley and N. Karodia, ARKIVOC, 2002, http://www.arkat-usa.org/ark/journal/2002/Lloyd/ DL-287G/287.htm. •Phosphonium tosylates as solvents for the Diels-Alder reaction, P. Ludley and N. Karodia, Tetrahedron Lett., 2001, 42, 2011-2014. •Preparation of heterocyclic phosphorus ylides containing the tetramic acid ring system and seven-membered ring vinylogues, R. A. Aitken, G. M. Buchanan, N. Karodia, Tetrahedron Lett., 2001, 42, 141-143. •Clean catalysis with clean solvents– phosphonium tosylates for transfer hydrogen reactions, C. Comyns, N. Karodia, S. Zeler and J. M. Andersen, Catalysis Lett., 2000, 113-115. •The solid state conformation of oxo stabilised ylides: X-ray structures of four new polyoxo phosphorus ylides, R. A. Aitken and N. Karodia, P. Lightfoot, J. Chem. Soc., Perkin Trans 2, 2000, 333-340. •Intrazeolite catalysts with sulfur donor ligands – Synthesis and catalytic activity, N. Karodia and J. A. M. Andersen, Catalysis Lett., 2000, 49-51. •Reaction of stabilised ylides with nitrogen dioxide, R. Alan Aitken and N. Karodia, European J. Org. Chem., 1999, 251-254. •Synthesis of amino acid derived cyclic phosphorus ylides, R. A. Aitken, N. Karodia, T. Massil and R. J. Young, Phosphorus, Sulfur, Silicon, 1999, 147, 245. •Clean catalysis with ionic solvents-phosphonium tosylates for hydroformylation, N. Karodia, C. N. Newlands and J. A. M. Andersen, Chem. Commun., 1998, 2341-2342. •Preparation and catalytic properties of resin bound binuclear rhodiumtetracarboxylate complexes, J. A. M. Andersen, N. Karodia, D. J. Miller, D. Stones and D. Gani, Tetrahedron Lett., 1998, 39, 7815-7818. •The solution structure of β,γ-dioxoalkyl(triphenyl)phosphonium salts, R. A. Aitken and N. Karodia, Tetrahedron, 1998, 54, 9223-9228. •Oxalymethylenephosphoranes - III. Synthesis and vacuum flash- pyrolysis of ethyl esters of 3-triphenylphosphoranylidene-4-aryl-2,4- dioxobutanic acids, E. N. Kozminykh, E. S. Berezina, V. O. Kozminykh, R. A. Aitken, N. Karodia, T Massil , Zh. Obsh. Khim., 1998,.68, 420-424. •A novel transformation of esters to alkynes with 1-substituted benzotriazoles, A. R. Katritzky, J. Wang, N. Karodia and J. Q. Li, J. Org. Chem., 1997, 62, 4142-4147. •Facile synthesis of benzotriazines and indoles by ring-scissions of α-benzotriazol-1-yl hydrazones, A. R. Katritzky, J. Wang, N. Karodia and J. Q. Li, Synth. Commun., 1997, 27, 3963-3976. •Preparation and pyrolysis of β,γ-dioxo ylides, β,β',γ,γ'-tetraoxo ylides and hexaoxo bisylides, R. A. Aitken and N. Karodia, Liebigs Ann., 1997, 779-783. •Pyrolysis of amino acid derived stabilised ylides as a route to chiral acetylenic amines and amino acids and GABA analogues, R. A. Aitken and N. Karodia, Phosphorus, Sulfur, Silicon, 1996, 111, 813. •Preparation of novel polyoxo ylides and diylides and their behaviour towards pyrolysis and oxidation, R. A. Aitken, and N. Karodia, Phosphorus, Sulfur, Silicon, 1996, 111, 812. •Convenient synthesis of chiral α,β-acetylenic γ-amino and γ-aminobutyric acid analogues via stabilised ylides, R. A. Aitken, and N. Karodia, Chem. Commun., 1996, 2079-2080. •Flash vacuum pyrolysis of stabilised phosphorus ylides. Part 8. Preparation of symmetrical and unsymmetrical 1,3-diynes from alkynoyl ylides and oxalyl diylides, R. A. Aitken, H. Herion, C. E. R. Horsburgh, N. Karodia and S. Seth, J. Chem. Soc., Perkin Trans I, 1996, 485-489. •Flash vacuum pyrolysis of 4-aryl-2,4-dioxo-3-triphenylphosphoanylidene butanoates, R. A. Aitken, N. Karodia, T. Massil, E. N. Kozminykh, E. S. Berezina and V. O. Kozminkh, Proceedings of the 75th anniversary symposium: Perspectives for development of the natural sciences in the Western Urals, Volume 1- Chemistry, Perm University Press, 1996, 36-38. •Flash vacuum pyrolysis of stabilised phosphorus ylides. Part 5. Selective extrusion of Ph3PO from β,γ,β'-trioxoylides to give diacylalkynes, R. A. Aitken, H. Herion, A. Janosi, N. Karodia, S. V. Raut, S. Seth, I. J. Shannon and F. C. Smith, J. Chem. Soc., Perkin Trans I, 1994, 2467-2472. •DABCO-Catalyzed dimerisation of some α,β-unsaturated esters, Drewes, N. E. Emslie and N. Karodia, Synth. Commun., 1990, 20, 1915-192. •Synthesis of useful intermediates from the Claisen-rearrangement of α-hydroxy alkyl acrylate ester precursors, S. E. Drewes, N. E. Emslie and N. Karodia, G. Loizou , Synth. Commun, 1990, 20, 1437-1443. •Facile diastereoselective synthesis of 2,6-dialkyl-5-methylene-1,3-dioxan-4-ones via synthesis of 2,6-dialkyl-5-methylene-1,3-dioxEmslie, N. Karodia and A. A. Khan, Chem. Ber., 1990, 123, 1447-1448. •Negotiating Education, Apartheid and Inequality; notes from a life and career informed by pragmatism, Joliot Curie Conference, (oral presentation), Cambridge, September 2015, (Keynote Plenary). •Education for Sustainable Development – Reflections on Greening the STEM Curriculum, International Congress on Education, Innovation and Learning Technologies, (poster presentation), Granada (Spain), September 2015. •Education for all: Reflections on the development of STEM at Bradford, (oral presentation), International Congress on Education, Innovation and Learning Technologies, Granada (Spain), September 2015. •Education for Employment - Innovating the STEM skills pipeline, International Congress on Education, Innovation and Learning Technologies, (oral presentation), Granada (Spain), September 2015. •Successful and Sustainable STEM Clubs, (workshop), Variety in Chemistry Education/Physics Higher Education, Nottingham, August 2015. •Virtual Reality technology to explain complex chemical concepts, (oral byte), Variety in Chemistry Education/Physics Higher Education, Nottingham, August 2015. •A competitive STEM edge for girls: Can clubs, competitions and challenges help bridge the gender gap?, Symposium on Promoting STEM Subjects to Girls in Primary Schools, (oral presentation), Queens University, Belfast, September 2014. •GENOVATE - Transforming organisational culture for gender equality in research and innovation, 8th European Conference on Gender Equality in Higher education, (oral presentation), Vienna, September 2014. •From ‘greening’ transformation to gender diversity change programme: University of Bradford’s experience, 8th European Conference on Gender Equality in Higher education, (oral presentation), Vienna, September 2014. •Facilitating gender equality and diversity change in higher education institutions: Involving internal organizational structure, 4th Making Diversity Interventions Count, Bradford, (oral presentation), June 2014. •Supporting university entry through collaborative working across the interface, (workshop), STEM Annual Conference - HEA, April 2012. •STEM and social mobility, Annual Rosa Parks Symposium, Celebrating the International Year for People of African descent, December, (oral presentation), Bradford, 2011 (invited speaker). •International Presentations on the UK STEM initiatives: Brunei, India, Malaysia and Vietnam, (oral presentations), 2011-14. 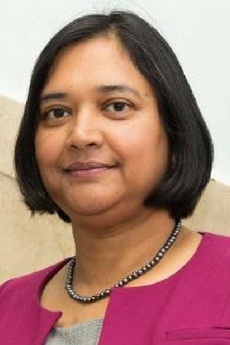 •Inspiring women in science, British Science Festival, Bradford, September, 2011 (UKRC invited speaker).